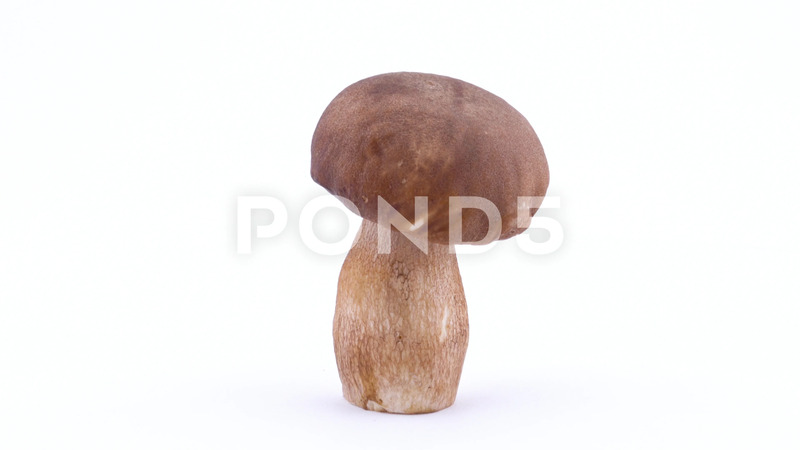 Description: One whole cep mushroom standing on the turntable. Rotating. Isolated on the white background. Closeup. Macro.